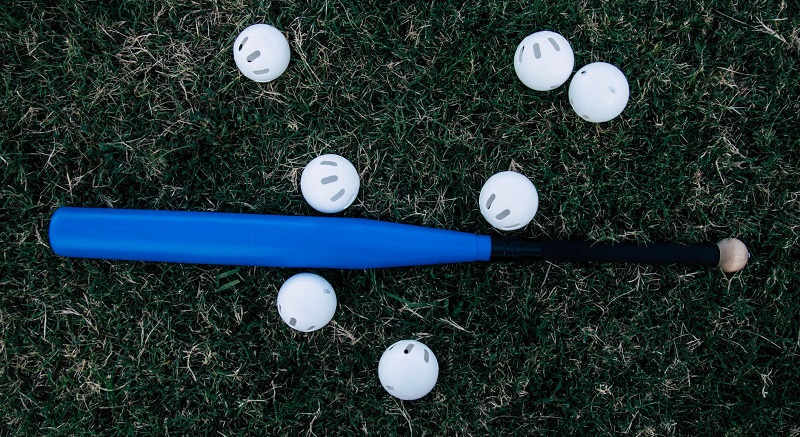 Over the past 3 months, we’ve put about 15 wiffle ball bats on the market to the test. From our results, we’re positive that the Louisville Slugger C271 replica is undoubtedly the best wiffle ball bat of the lot. Its sturdy build has seen it hold up perfectly well throughout the tests we put it through. It is exceptionally well built – No cracking, or denting whatsoever. 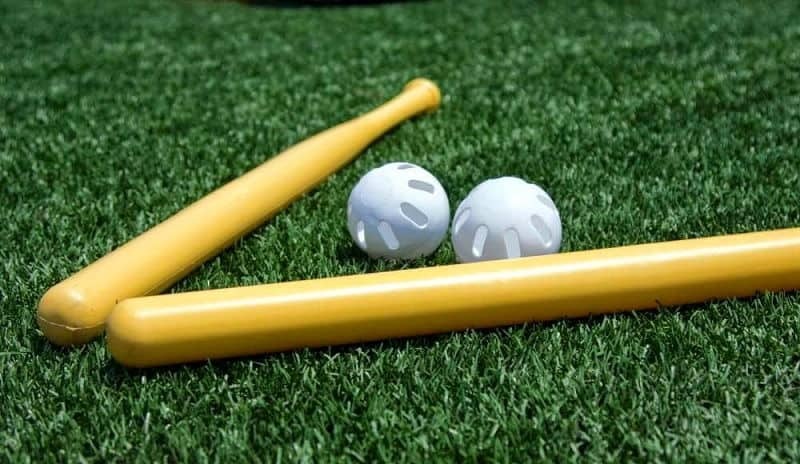 If you intend to get your kids interested in baseball early on, wiffle bats are perfect to get you crushing some wiffle balls and having some good fun in your backyard. However, picking the best wiffle ball bat is often difficult and downright confusing. There are so many options available, and most look quite similar. Ever heard of the Louisville Slugger C271? The C271 is one of Louisville Slugger’s best wood bats. The Louisville Slugger wiffle ball bat is a plastic replica, modeled off the appearance and design of the mercurial C271. The key difference between the two bats is the material used. The replica is made out of plastic material, whereas the Louisville Slugger C271 is made out of high-grade maple. At 34 inches in length, the Louisville Slugger replica is not only suitable for kids. Adults (either playing for fun, or pro batters looking to harness the benefits of training with a wiffle bat) can use it with ease. Furthermore, The high-grade plastic used on this bat makes it a solid bat capable of hitting home runs with ease. The sturdy plastic build holds up well to lots of abuse, so it won’t dent or crack easily. Finally, its faux wood grain finish gives this bat a near authentic wood bat look that looks and feels great in the hands. The GTSOH(get that sh*t out of here!) bat is one of the best wiffle ball bats on the market today. Specifically, it boasts a wide 2.5″ barrel that provides the extra surface area for better contact, and a 34″ wood handle. The handle design of this bat is what makes it a GTSOH. Palisades took a screwball bat, removed the handle and added the beautiful wooden handle, a knob and a bat grip for ample grip and confidence at the plate. Moreover, the GTSOH feels incredible in the hands and makes you just want to hit homers all day long. The knob feels comfortable and molds right into your hands. However, the bigger barrel adds significant bulk to the GTSOH and may lower your swing speed. For us, this weight made the bat feel sturdy and made for solid hits. The Pro Stix Training set features a high quality plastic bat. It is fantastic for a backyard game of wiffle ball, or beginner training on the field. For the price and the quality offered, this is one of the best entry-level wiffle ball bats around. The Easton Pro Stix can take a great deal of abuse because built to great quality. The seams don’t have the rough edges so common with other plastic bats. It feels solid in the hands, and from a distance, you wouldn’t think its made out of plastic. It is super lightweight, and 33″ long, making it suitable for kids and adults alike. If you enjoy a good game of wiffle ball, you should definitely consider the Easton Pro Stix. This bat will not disappoint you. The Blitzball bat is one of the best wiffle ball bats on the market. Made in the USA, its design makes it ideal for speed and curving action. Its feel, balance, and pop are greater than any other wiffle ball bat we’ve reviewed. For instance, the construction is solid – It features a decently sized barrel, and a regular-length bat, making it a great pick for beginners, both kids, and adults. Weighing just under 1 oz. each, this bat is safe enough for everyday backyard use and is heavy enough to handle regular wiffle balls, but not too heavy that the ball flies at dangerous speeds. 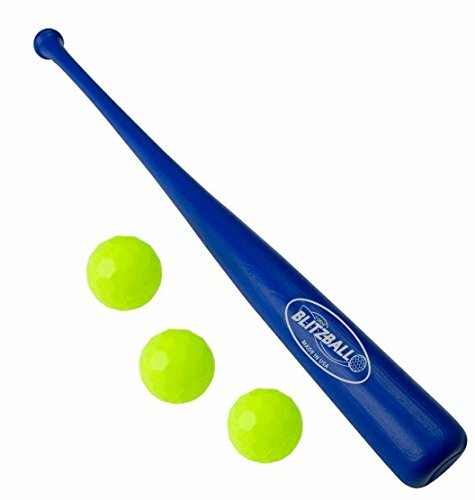 The yellow balls that come with this blue wiffle ball bat are easily visible in the grass, so you won’t need to worry about losing them in the backyard. This ubiquitous yellow bat is the only WIFFLE® ball bat you can buy, strictly speaking. So technically, this is the ‘Best WIFFLE® ball bat’. It is the epitome of summertime fun. 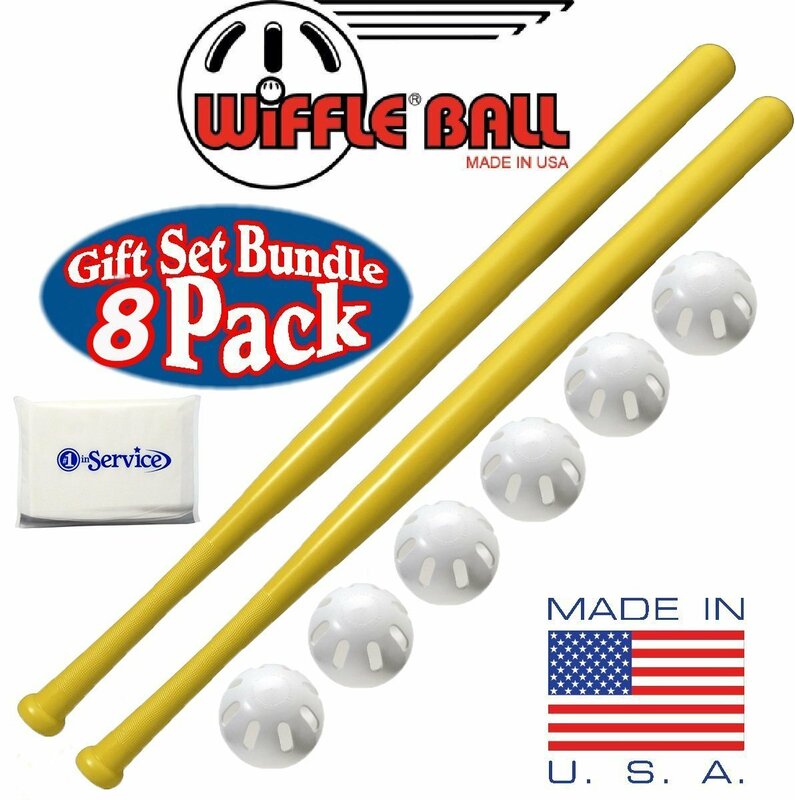 Made in the USA, this set includes 2 32” wiffle ball bats, and 6 perforated wiffle balls (ideal for playing indoor, and backyard use), and a tissue pack. Some come with 5 rubber throw down bases (washable and reusable). Sounds like a lot, but this entire combo is extremely portable, weighing in at less than 4 pounds. The wiffle bats and the balls are made of lightweight, durable plastic. The plastic used to make the balls is a tough plastic that is also lightweight. As a result, these balls can stand up to abuse quite well. The 32” wiffle ball bat is simple but it gets the job done. It lacks bells and whistles like the Louisville Slugger replica wood grain finish, and the GTSOH wooden knob and hand grip. If you require extra grip, however, you may need to buy a bat grip tape for this. That said, this bat is ideal for kids 3 y.o and up who need a lightweight bat to hone their swing with. And not to mention great quality for the price. It’s been almost 60 years since the first Wiffle® Ball was sold. In that time, the ubiquitous yellow bat and white ball have become an iconic symbol of summertime fun. While spending time with your family in the summer, it is important to find a game that everyone can take part in, from the kids, mom, dad… even grandpa! Wiffle® Ball is like a safer, toned-down version of baseball and softball. It takes away the intense running, and the risk of hardballs. The Wiffle® ball has been fooling batters since its invention in 1953. It’s the perfect summertime family fun game. In addition, Wiffle® ball has grown from a backyard game for kids, to a sport that’s popular amongst adults – with some even holding Wiffle® ball tournaments. A large part of its appeal is in its spontaneity. Rules aren’t set in stone and it is playable in any setting, depending on how much space is available. Wiffle® Ball can help build real baseball and and softball skills because of the benefits it offers your child. Here are a few of them. Good hand-eye coordination is a crucial part of development for younger children. For kids, catching a Wiffle® ball cleanly can be a difficult skill to master, but these skills can be honed in the backyard with a good old Wiffle® ball bat. Kids need to learn early on how to swing and make contact with the ball. All the talk about bat speed and launch angles is not important early on. If your child starts out with a heavy wood or metal bat, it is going to be difficult to teach proper hitting mechanics and how to achieve solid contact with the ball. Wiffle® ball builds an understanding of the strike zone, a feel for timing, and teaches your child to stay in on every pitch, without the fear of getting hit by the ball. As players improve, they often have to face curveballs, sliders and change-ups. Playing Wiffle® gives your child a good start. And because a Wiffle® bat is skinny, it is devilishly hard to hit which adds a ton of fun. Wiffle® ball is an excellent way for your child to take a break from the rigors of youth sports. It’s nice to occasionally get away from the baseball and softball politics surrounding tryouts, travel teams, and team selection and just have fun. The Wiffle® ball bats listed here all have something that makes them unique. Our favorite pick is the Louisville Slugger C271 replica. Despite being more expensive, we loved its design and were awed by its performance. We hope our reviews take you one step closer to finding the right Wiffle® ball bat. Good luck! Wiffle® is a registered trademark of The Wiffle® Ball Inc and is in no way associated with The Bat Nerds. The Louisville Slugger 34” C271 wiffle ball bat is a replica of the genuine C271 34″ wood bat. It is made out of plastic, with an authentic-looking wood grain finish. It is safe to play with and makes for a ton of backyard fun. The Bat Nerds. Copyright © 2018. We are a participant in the Amazon Services LLC Associates Program, an affiliate advertising program designed to provide a means for us to earn fees by linking to Amazon.com and affiliated sites.